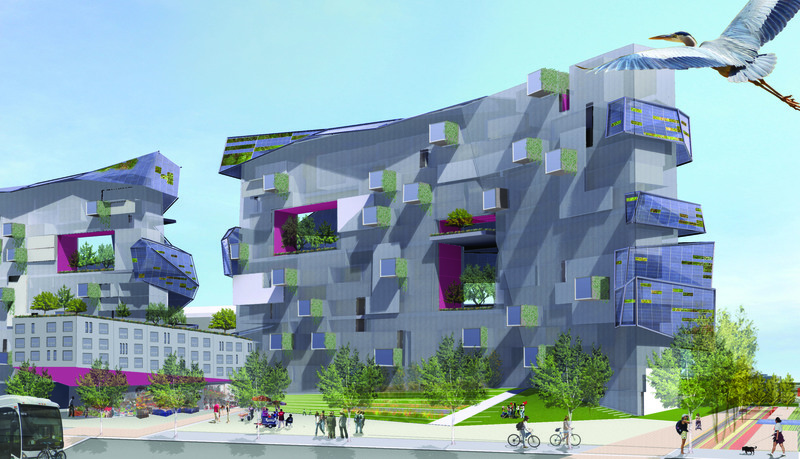 The self-sustaining inner-city block will run "off the grid," using advanced technologies to capture wind, solar, water and geothermal resources. Meant to contribute to an array of revitalization programs in Dallas, the block will generate resources, and support and empower the community, all while acting as a working model of sustainability for cities around the world. 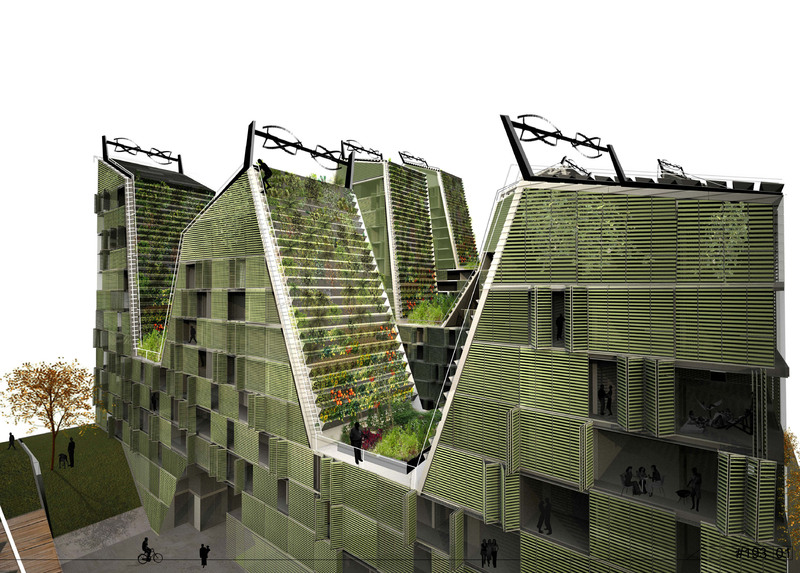 With urban density expected to soar over the next 100 years, what will the future city look and feel like for its inhabitants? 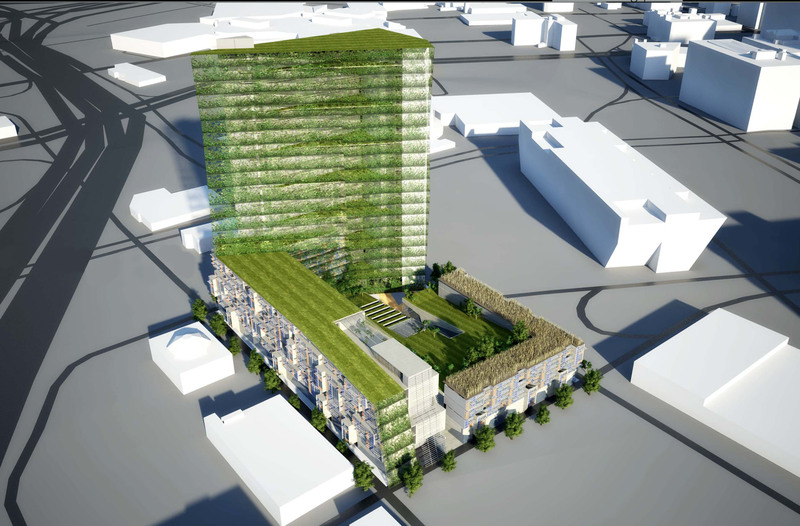 Across the street from City Hall in downtown Dallas, a neglected parking lot spanning one square block will soon be transformed into one of the world's most sophisticated models for sustainable urban development. Today, Urban Re:Vision announced the winners of its international design competition, Re:Vision Dallas, which drew hundreds of entries from the world's top architecture firms and city planners in 26 countries. 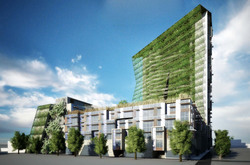 The self-sustaining inner-city block will run "off the grid," using advanced technologies to capture wind, solar, water and geothermal resources. 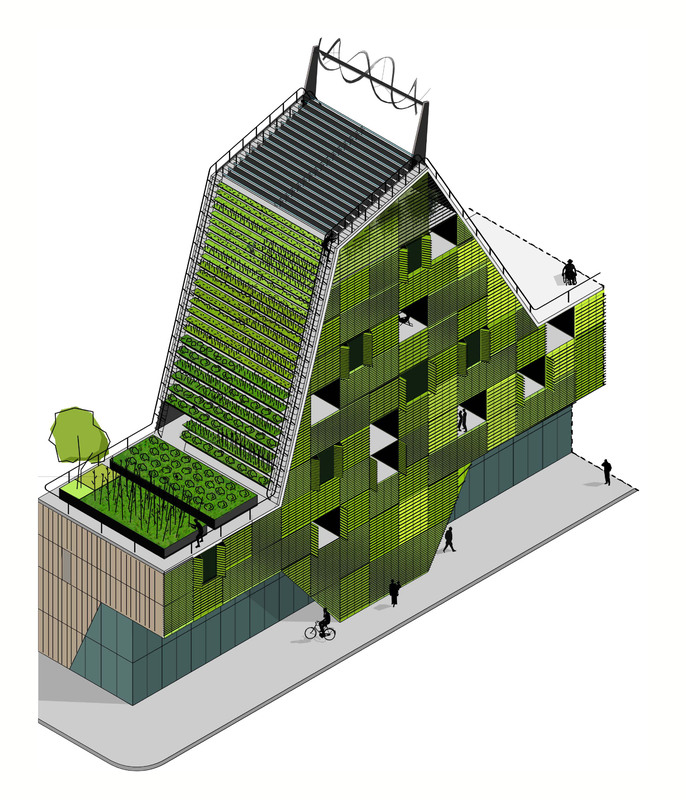 Meant to contribute to an array of revitalization programs in Dallas, the block will generate resources, and support and empower the community, all while acting as a working model of sustainability for cities around the world. "It's truly inspiring to see the way Dallas has welcomed and embraced this step toward sustainability and community growth," says Stacey Frost, Urban Re:Vision founder. "Equally inspiring is the amount of heart contestants have put into the designs, into helping Dallas take that step." On Dec. 5, 2008, prior to the competition, Dallas Mayor Tom Leppert hosted urban planners and leading design professionals from around the country for an intensive "design charette" put on by Re:Vision to examine the necessary framework and community impact of what will become the first fully sustainable, urban square block in the U.S. "I'd like to see Dallas be at the forefront of design, sustainability and vibrancy of cities," says Mayor Leppert. A local community development organization, the Central Dallas Community Development Corporation (CDC), is the lead developer for the project. Entries were judged by a panel comprised of a number of Dallas community leaders as well as several expert global architects and community planners. Among the judges were Eric Corey Freed, principal of organicARCHITECT and Aidan Hughes, principal at ARUP, leading North American planning practice. Also on the panel were Nathanial Corum, an architect with Architecture For Humanity, Pliny Fisk, director/co-founder of Maximum Potential Building Systems and Sergio Palleroni, director/co-founder of the BaSiC Initiative at University of Texas at Austin. Acting as advisors were Cameron Sinclair, executive director/co-founder of Architecture For Humanity, and Peter Head, director of ARUP. Rendering assistance from Mike Brown and Megan Morris of Medized. About Urban Re:Vision: Re:Vision is a revolutionary initiative to create the prototype for an innovative, sustainable urban community. At the heart of the process is a series of contests generating visionary ideas for what can be in the design about urban space. For more information, visit http://www.revision-dallas.com. About CDC: Central Dallas Community Development Corporation (Central Dallas CDC) is a grassroots, faith-based community development organization serving the needs of Dallas County, TX. Their mission is to build affordable housing, develop communities, and establish economic opportunities in Dallas, Texas. For more information, visit http://www.centraldallascdc.org.